D30 Air is a patented protective material that combines enhanced chemistry with product engineering to produce high performance shock absorption and impact protection solutions. 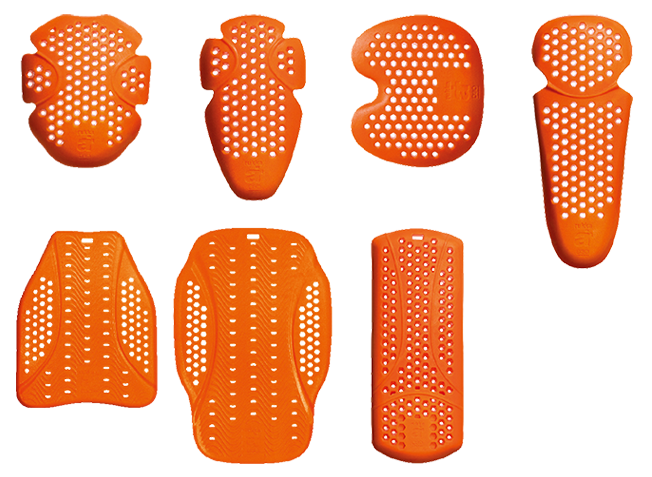 A brand New D3O Air material has been developed especially for the Rukka protectors. This New material has some unique characteristics that provide enhanced versatile and flexible protection. 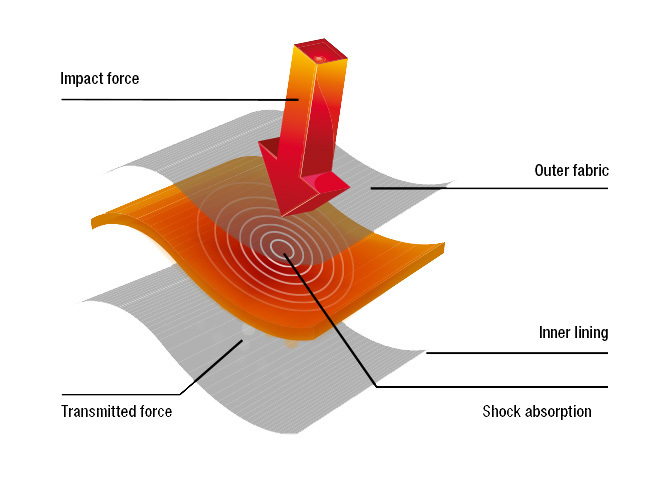 The material contains intelligent molecules that flow freely when moving but on shock lock together to absorb impact energy, instantly returning to their flexible state. D3O Air does not go hard when hit, the molecules lock together to absorb and spread the force, significantly reducing the effect of impact. D3O Air disperses the force of impact, drastically reducing transmitted force and minimizing the risk of injury or equipment damage. The protective qualities are retained after repetitive impact. Comfort, flexibility and protection are always present.